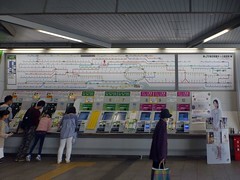 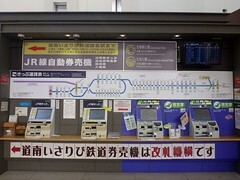 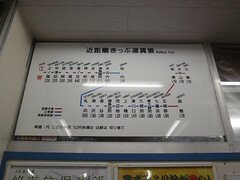 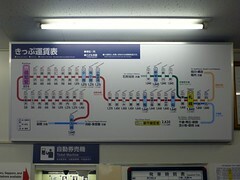 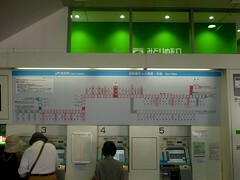 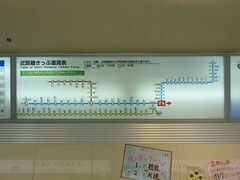 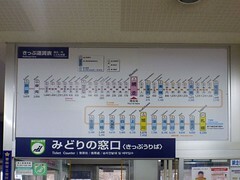 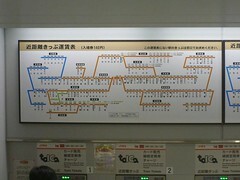 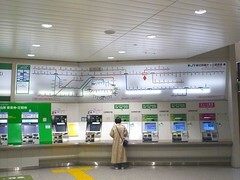 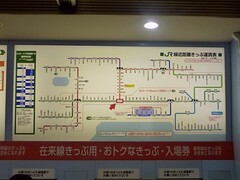 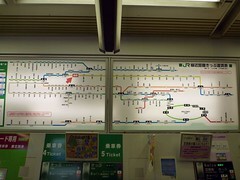 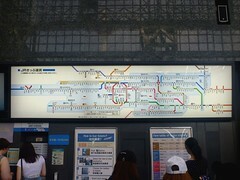 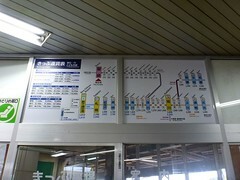 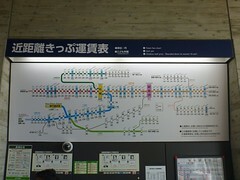 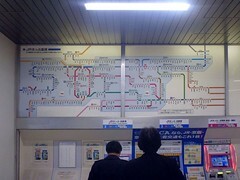 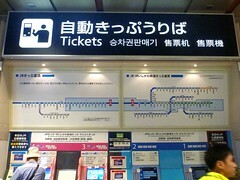 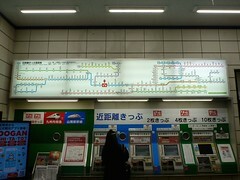 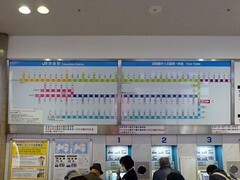 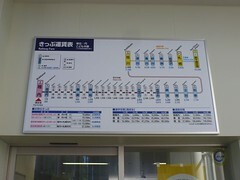 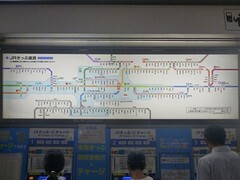 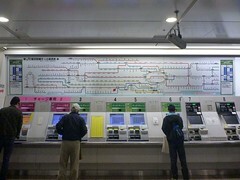 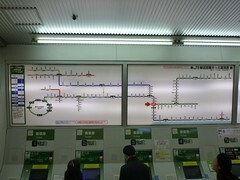 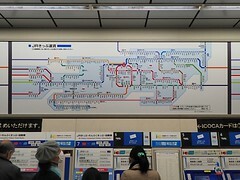 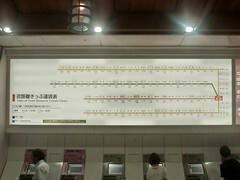 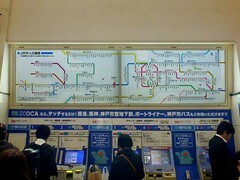 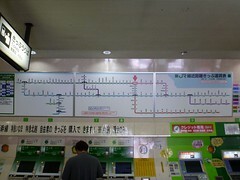 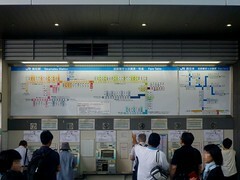 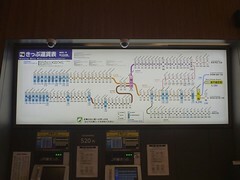 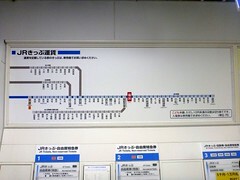 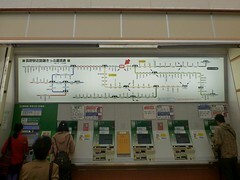 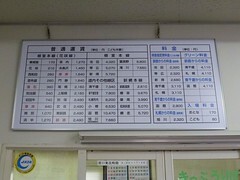 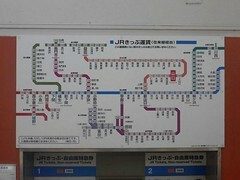 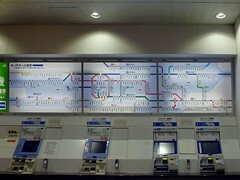 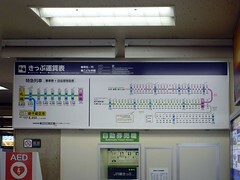 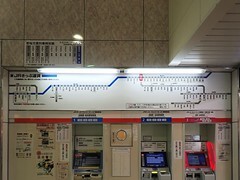 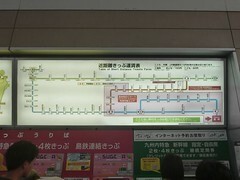 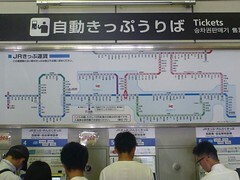 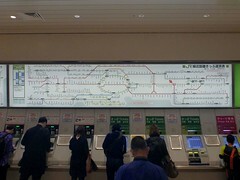 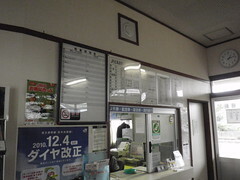 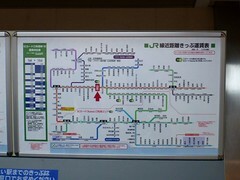 Most (but not all) railway stations in Japan put network route maps near ticket machines, doubling as fare tables. 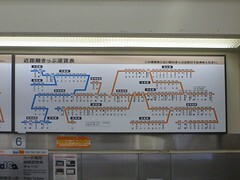 I travelled all over Japan to collect such "official" map-style faretables, so this is a photo collection of them, at least one from each 47 prefectures of Japan (and 14 subprefectures of Hokkaidō). 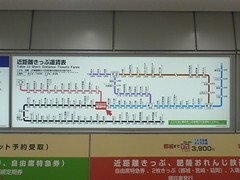 - Acronyms used here; R.: railway/railroad, E.: electric, L.: line. 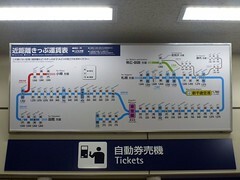 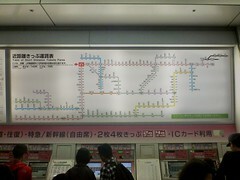 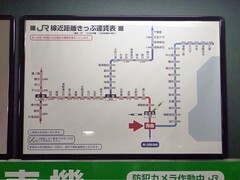 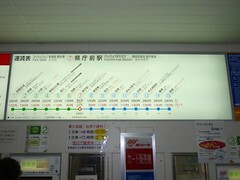 - For the stations served both by Shinkansen and Zairaisen (non-Shinkanen JR lines), I posted the maps of Zairaisen. 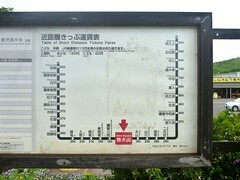 - Station marked N means I did not find the maps in that station. 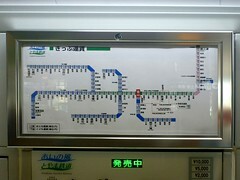 - Station marked M means I did find some sort of maps, but not exactly the typical map-style faretables. 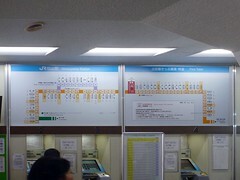 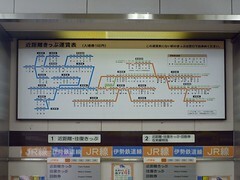 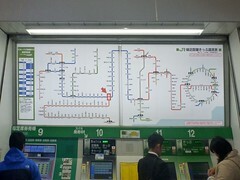 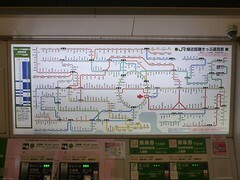 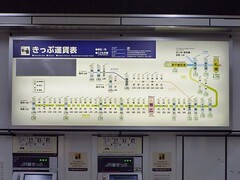 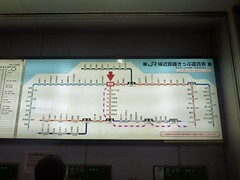 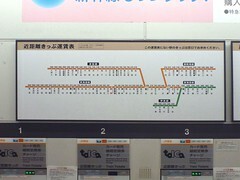 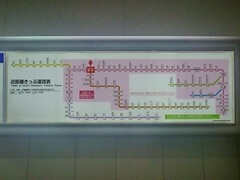 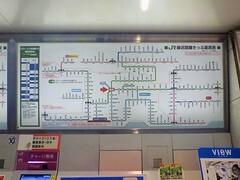 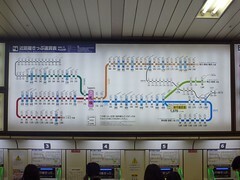 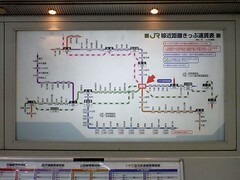 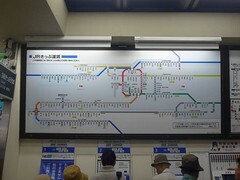 - Trams and "Interior" normally just show maps and not map-style faretables, so the N/M signs are omitted. 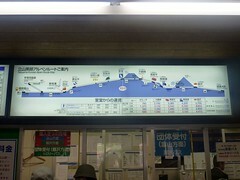 Senjōjiki N Oct 2013 Izu Hakone R.
Sakae 1 2 Oct 2017 (Seto L.) Sakaemachi 1 2 Oct 2017 Toyohashi R.
(City Tram) Matsuyamashi-Ekimae Apr 2010 Tosa Kuroshio R.
Aerial lift station Senjōjiki N 2,612m * The length of Japanese word is normally measured by the number of kana letters if the word were entirely spelt in it, since single kanji might contain multiple syllables. 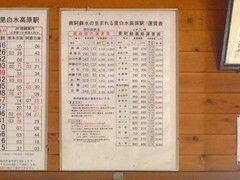 * Trolleybus is legally considered as railway in Japan. 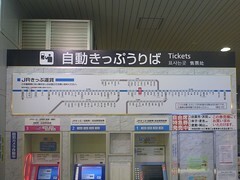 * The word "Station" is included in these two names.